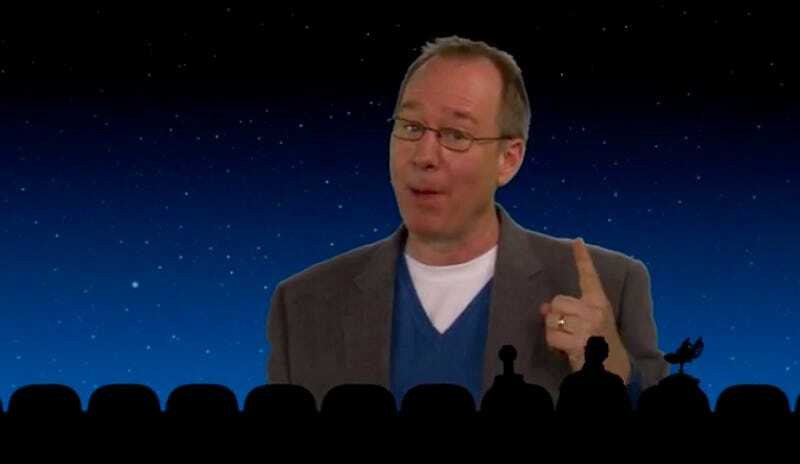 In the not too distant future... we could be getting brand new episodes of Mystery Science Theater 3000, courtesy of original human host Joel Hodgson! But for an extremely steep Kickstarter goal. If you’re new to the show, MST3K was the cult classic that aired on Comedy Central and Syfy after debuting on Minnesota public access in the late 1980s. It brought riffing to the mainstream, long before snarky internet comments did, ripping apart awful B-movies with trademark barbs and obscure pop culture references. It’s been sorely missed, but today the original host and creator Joel Hodgson announced he’s looking to reboot the show with brand new episodes–and launched a Kickstarter campaign to help him do so. Sounds great, right? The problem is, he’s asking for a lot of money: a whopping $2 million will get us three episodes, and $5.5 million gets us a full, 12-episode season. The sky-high funding goal likely stems from the fact that securing the rights to the movies is probably pricy, especially if this new show wants to skewer newer, better-known movies than fare like Manos: The Hands of Fate. There’s another asterisk to the story, as well: Hodgson won’t actually host the new show himself, and there will be new actors for robotic sidekicks Crow and Tom Servo, as well. New actors will be hired for all of those old roles. Hodgson told Entertainment Weekly, however, that the old gang will be invited back to possibly produce, write, and make cameos. Much of the original MST3K crew has actually been riffing post-show for years on the internet. Over at Rifftrax, former MST3K host Michael J. Nelson, plus Kevin Murphy (Tom Servo) and Bill Corbett (Crow) have continued their tradition online and in live shows in theaters across the country. Hodgson’s Kickstarter will actually bring back the MST3K name, though. And if it gets in front of the right executives, it could be picked up long-term. MST3K is my favorite show of all time, so I’m hoping my fellow MSTies are as pumped as I am–but I’m also a bit cautious, considering the astronomical crowdfunding goal. The good news is the campaign’s already reeled in $100K on its first day at the time of this posting–and it’s not even lunch. Update, 11/10/15, 4:46 p.m. EST: Variety is reporting that Shout! Factory has acquired all properitary rights for the show from Best Brains, Inc., which gives a bit more context to the reboot: They’re working with Hodgson on digital media strategy, new content, merch, and more. And oh yeah, the Kickstarter’s closing in on $500,000 and it’s still day 1.